Facebook is adding an interesting new automatic collage feature, which appears when you share photos from your phone’s camera. When you tap the photos button, you’ll see automatically created collages based on the location and time you took them. Collages can be re-arranged before they’re shared, or you can create your own instead. 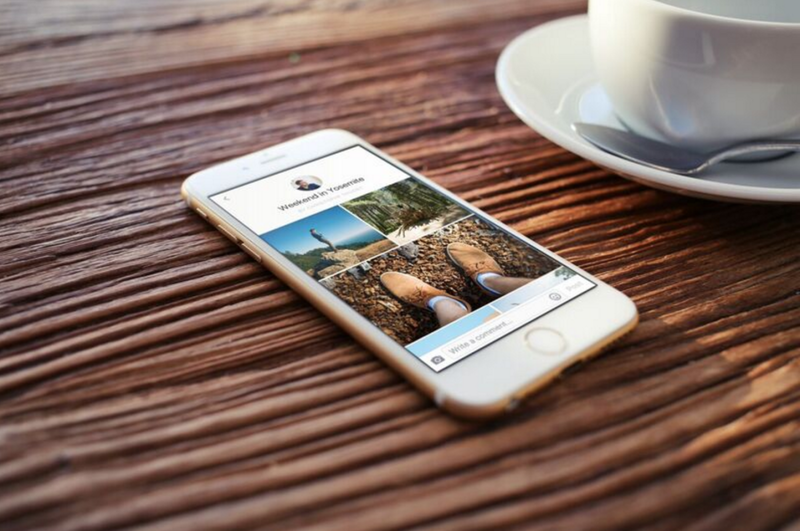 It’s a nice way to share a lot of photos to show off your trip, rather than uploading a ton randomly. It’s an interesting new offering as Facebook looks to get you to share more things to your feed, rather than only talking privately on services like Messenger. The social network is also adding the ability to stream live video directly from your Newsfeed. Facebook previously allowed verified users to use the feature with their fans, but now anyone can stream to their friends directly within the app. When you click ‘Update Status’ you’ll see a new option for streaming live video. As you go live, you’ll see your stream overlaid with real-time comments and the names of friends tuning in. The feature appears to be largely the same as the one that was part of Facebook’s Mentions app for verified users, but with the ability for anyone to use it — provided you’re in the US for now. On top of the addition of live streaming, Facebook is testing a new menu when you tap ‘What’s on your mind’ at the top of your feed that shows the new sharing options rather than just a box to type in. It’s clear the addition of streaming is a way for Facebook to grab back those users streaming on other platforms like Periscope and Meerkat — though it’ll be interesting to see if anyone actually uses it.